OhgodIloveChrisPrattsomuch. Chris Praaaaaaaaaaatt!! Chris Praaaaaaaaaaaaaaaaaaat. 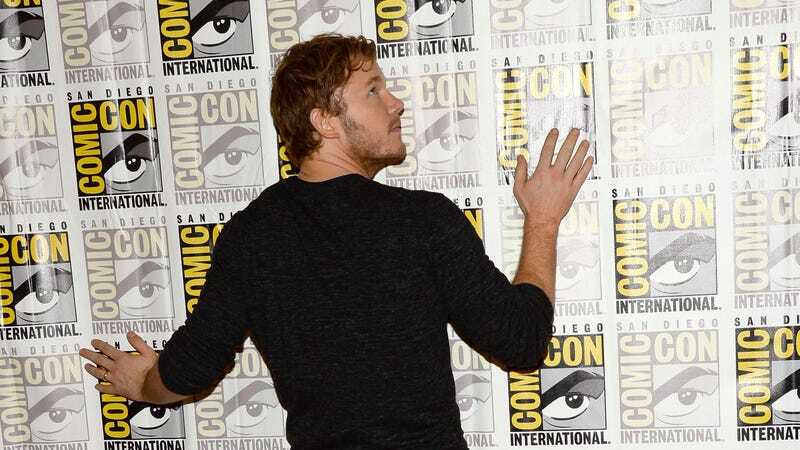 Today in IloveChrisPratt, Chris Pratt reveals that he's always "a very much naked person," and kind of maybe worked as a stripper when he was 18. He wasn't very good at the dancing part, but he had the naked part DOWN. “I was always a very much naked person. I loved to always get naked. I was very free, so I thought, I may as well get paid,” the actor recently told Buzzfeed. Pratt says he juggled several dancer gigs at 18, but was far from Channing Tatum, whochronicled his story on the big screen in 2012. “I was never like Magic Mike, you know. I did go one time and audition on a stage for a club, but I don’t think I got the job. I don’t think I’m a very good dancer,” he jokes. Lady Gaga is going to sing a song in outer space, which I guess is kind of like when you go back and speak at your high school assembly as a grown-up. The "Dope" performer, 27, is set to blast off in a Virgin Galactic ship and belt out a single track during the Zero G Colony high-tech musical festival in New Mexico. "She has to do a month of vocal training because of the atmosphere," says a source, who adds that the diva's glam squad will join her in the shuttle. 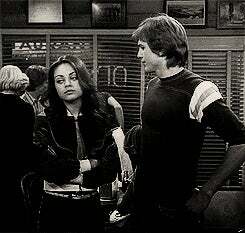 Rumors are flying that Ashton Kutcher plans to propose to Mila Kunis as soon as his divorce is final. A source told the Sun, 'Demi and Ashton's divorce has cast a cloud over his and Mila's relationship because it's dragged on for so long. 'Thankfully Demi's turned a corner. She's no longer bitter and she wants the divorce over and done with as soon as possible so she can get on with her life too. The couple were rumoured to have been secretly engaged for a little while already.